taken on last Sunday at Acigol,Denizli,Turkey. Greetings,Mehmet. �wietny kadr doskona�e uj�cie. bardzo dobra g��bia i kolory. That's a beautiful photograph, from an unusual viewpoint. 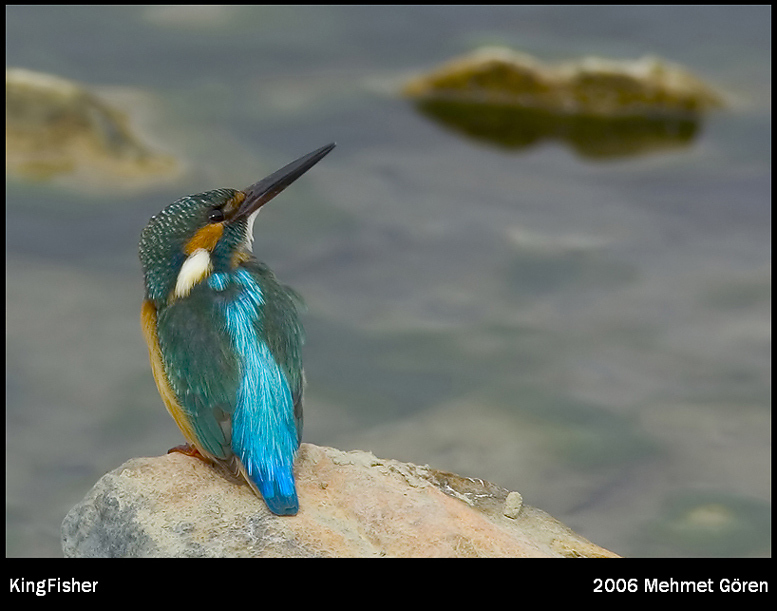 The angle of the kingfisher's beak "makes" the shot. Well done! Very beautiful bird.Nice capture with good composition,colors,POV and detail you have caught.Well done. Sevimli bir yalı�apkını ve iyi bir kadraj. Ellerine sağlık. beautiful shot and well presented. g�zel fotoğraf. tebrik ederim. teknik değerler başarılı.